The Igbos have not hidden their contempt for the All Progressives Congress (APC) since its formation in 2013. The party’s image has not been redeemed among Igbos with the APC Government led by President Muhammadu Buhari yet to appoint anyone from the South East, the home of the Igbos into his government. It doesn’t appear pleasing to the Igbo ears that Mr Emmanuel Ibe Kachikwu from Delta state was appointed Nigeria National Petroleum Corporation (NNPC) boss. This is perhaps why the Ohaneze Ndigbo ( the apex Igbo group ) Youth Council recently accused the President of “hatred for the Igbo nation”. In the past few days, words like “federal character”, “marginalisation” “Biafra” and the likes have been used frequently in public discussions especially among many “Igbo” writers who have suddenly found their lost voices! While no responsible person should support of the marginalisation of any ethnic, religious or national group in Nigeria, we must consider jettisoning our support of the so-called federal character. Igbos, in particular, have a lot to learn from other Nigerians and must be ready to do away with Civil War mentality to really prosper in a united Nigeria. On the federal character which was introduced in 1978 and became part of the 1979 Constitution and subsequent constitutions, we need to know if it has added any value(s) to our lives as a nation. After Chief Obafemi Awolowo lost the 1979 Presidential election, Yorubas who voted massively for him played the role of opposition in the Sheu Shagari’s administration. The Vice President, Senate President, Speaker of the House of Representatives all were non-Yorubas and the heavens did not fall. No one mentioned federal character or “marginalisation of Yorubas”. Much ado about federal character! If Yorubas did not go into extinction outside mainstream politics for about 40 years under different platforms-AG, UPN, AD, AC, ACN- I submit the Igbos must learn, like Yorubas did, to develop unique political character outside political power! From a little observation, it appears some Igbos are yet to jettison their Civil War experiences when others have moved on. It is no longer a secret that Igbos made their choice clear during the presidential election and that was not General Muhammadu Buhari , but whether they stand with him through thick and thin is yet to be seen. One of the questions that came up during the campaigns was General Buhari’s role during the Nigerian Civil War. This question was raised by no less a person than the People’s Democratic Party (PDP) campaign spokesman, Chief Femi Fani-Kayode. Needless to say that Fani-Kayode or FFK as he is sometimes called himself would have committed “genocide” considering his earlier views on Ndigbo while he was in the APC. How he suddenly become a “beloved Igbo” when he joined the PDP remains strange to me. This only convinces me that anyone can be a “friend of Ndigbo” if he can just oppose Buhari or the APC! In parenthesis, what role does a soldier play during war? Does FFK expect Buhari to come out and say he did not fight according to command? At the risk of sounding immodest, though I was born over two decades after the end of the War, I have read several Civil War books from both sides; I didn’t come close to any specific command led by General Buhari. Those that play prominent roles were: T.Y. Danjuma, Murtala Muhammed, Benjamin Adekunle “The Scorpion”, more later, Olusegun Obasanjo and the likes on the Nigerian side. You can mention people like Joseph “Air Raid” Achuzie, Alexander Madiebo, Emmanuel Ifeajuna and others on Biafran side. I am yet to find any Civil War document on Buhari’s specific role(s) leading during the war! This leads me to my next point- Igbos do not appear to know their real “enemies”. They supported former president Jonathan, himself an Ijaw man from Bayelsa state even adding “Azikwe” to his name just to make him “our son”. Jonathan himself did not disappoint, he rewarded the Igbo nation with “juicy appointments” in his government. But as at the last time I checked, Ijaws fought alongside the Federal army during the Civil War. People like Isaac Boro and immortal Ken Saro-Wiwa both from “minority areas” fought the Biafrans to a standstill during the war. I am not sure if Ijaws will proudly call themselves Biafrans any time soon! In an Advertorial titled “APC is Dead on Arrival in the South East” sponsored by an unknown group in the eve of the launch of the party in Anambra sometimes in 2014, cites the “deportation” of 14 destitudes of Igbo Origin to Anambra and Imo States as a case for Igbos not to support the APC. I wish to say that while I condemn this act by the Lagos State Government in its totality, I am not losing sights of the present security challenges in the country necessitating such actions by the Government. Lagos is not one of those States that harbours destitute (Almajiris). Apart from this, before this action by Lagos State, the PDP Government of Abia Srate has adopted the Indigenization Policy leading to thousands (mainly Igbos) non-Abians losing their jobs in the State Public Service. Nothing was wrong with relieving Nigerians of their jobs but everything was incorrect with clearing the streets of destitutes! Igbos must accept their presently reality and fast. Buhari is the President of Nigeria at least for the next four years. There are, for me, few options left for Igbos in the Buhari administration considering the fact that they boxed themselves into a tight corner. They can either play the role of a responsible opposition standing with the PDP or join the APC Government the latter which will make them negotiate from the position of weakness. If Igbos decide to play the role of opposition, that is, standing their grounds till the end and they will be taken more seriously in the political schemes in the future. This can also lay the foundation for Igbo Presidency sooner than we may think. The second option will be that Igbos will join the Buhari government through those their “rejected stones”-Ogbonaya Onu, Rochas Okorocha, Chris Ngige and the likes. This will also mean that pan-Igbo groups will do more than just praise singing of President Buhari and his lieutenants in the region to win him over for their past “sins”. 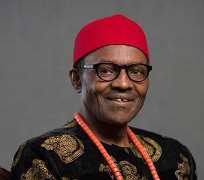 I do not know how General Buhari must have felt early this year when he wrote to Ohaneze Ndigbo, requesting a simple audience. The response of the organisation in my opinion portrays that of a disoriented body in desperate need of reformation. The group did not even deem it fit to acknowledge receipt of the General’s letter! In all these, I think all hope is not lost. President Buhari must, through the state his party controls in the region (Imo), provide the lead. The President must shun shallow thinkers and flatterers in the region by building the Second Niger Bridge which has been in the realms of dreams over the years. The administration must also ensure that Ports are located in the region for improved revenue and jobs creation. I know little of Igbo needs except those I am told by my Igbo friends. The time to build a Nigeria where Igbos can be proud once again to be Nigerians is now. Buhari can do this and more. My only advice to Igbo leaders is for them to drop their toga of Civil War lenses and look at issues more clearly within the 21st century realities! Olalekan Waheed ADIGUN is a political risk analyst and an independent political strategist for wide range of individuals, organisations and campaigns. He is based in Lagos, Nigeria. Disclaimer: "The views/contents expressed in this article are the sole responsibility of Olalekan Waheed ADIGUN and do not necessarily reflect those of The Nigerian Voice. The Nigerian Voice will not be responsible or liable for any inaccurate or incorrect statements contained in this article."